I was going through the Christmas images and I found one that made me smile all over again. I published it in my November 27th blog, but I like the image so much that it made think about how the animals in my house are more than just pets or animals, but rather they are members of the family. 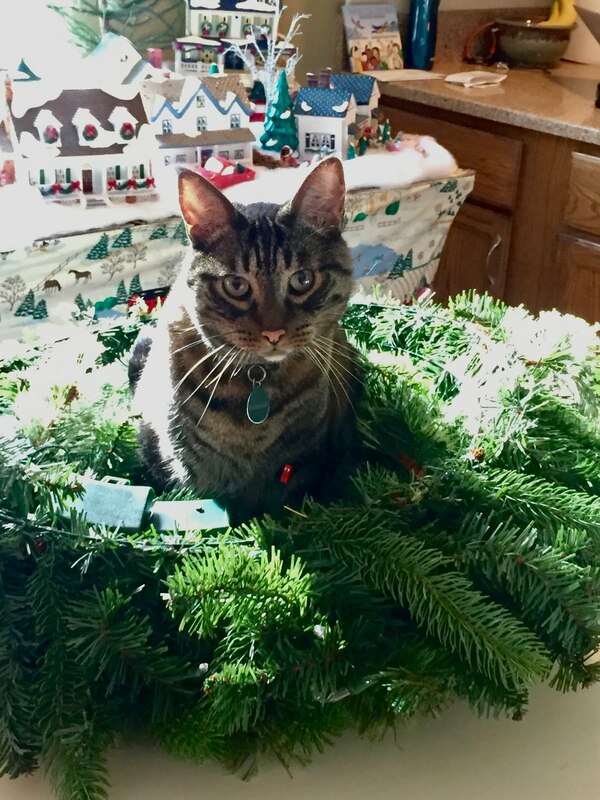 During the Christmas decorating process Riordin, one of our cats, wanted to participate in the process and he got into the middle of nearly everything happening. Some cats, and dogs, are like that. They become almost all members of the family and they want to be involved in everything. It does get a bit tiring. Makayla, for instance, wants to join me on every trip I take outside the home. She does understand in some way, that she is not going to work with me in the morning, but every other journey is up for discussion. And she makes her desires known. The winter is a good time because I can run to the store and leave her in the car, unlike the hot days of summer. She has been making more short trips with me lately. Riordin is part of everything we do. Seriously! When friends come to visit we have to lock him up or he finds a way to become the centerpiece of the conversation. While his ubiquitous presence is fine when Chris and I are home alone, it can be a bit much when friends or family are around. Louis, the other cat, likes to reserve more cat-like activities for himself. He is around but not in the center of the action. He seems to understand that he is a cat and I'm not. I love my pets and admit that I have enabled their behavior. But, for the majority of the time when Chris and I are the only ones home, it works. They are not just pets, but they are members of the family.